Sunday started early. So early in fact that I think it might have been Saturday. Yes, yes actually it was. Saturday night and preparations for Sunday were in effect. There was so much to do, so much to make. Which recipes would we narrow it down to? The decisions were almost too much. Everything looked lip-smacking good. Maybe we would just make them all. I mean, this was food fest we were going to. Wasn't it? Weren't we going to a food festival? Wait. It wasn't Foodbowl. It was Superbowl. My excitement was starting to wane. 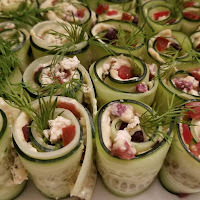 All this preparation, the hours of carefully pouring over which fantastic recipes to share, was it all for football? I wouldn't let the game get to me. I had a job to do. I couldn't let anyone down. My teammate, Mike, was counting on me. 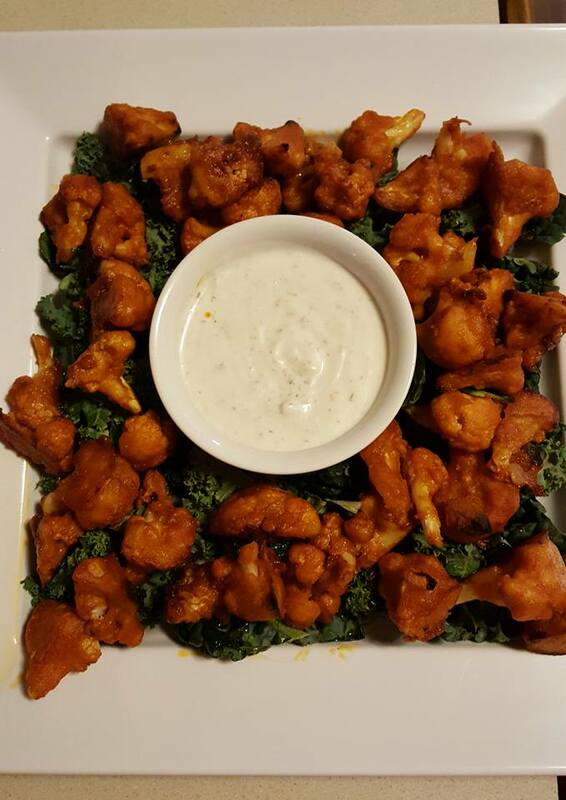 Being a non-meat eater at the biggest wing fest of the year is tricky. We needed options. I was prepared. We chose well. Cauliflower Buffalo Bites, Crispy Buffalo Quinoa Bites, Baked Jalapeno Poppers, Macaroni and Cheese with Shiitake Bacon, Greek "Sushi", Bunnies in a Blanket and finally, Chili. When game day rolled around we were ready. Our spicy treats were prepared for the crowd. We made our way to the starting line. As we placed our goods on the field, we were lauded for our presentation. Our wingless goods were ready to fly. 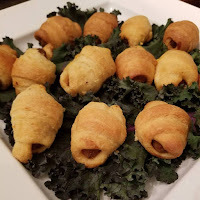 As was customary, we were teased for our non-meatless morsels. Yet we knew, as did our friends, that our food would be eaten and we'd be left with nothing but meat. We were ready. Ready for the game before the game. The most important part of any celebration and the real reason we all got together. The food. Plates were passed around, drinks were poured. We manned our stations and it began. The Great Food Bowl of 2018. While it's not that important I guess it it worth mentioning that the game was played between the Philadelphia Eagles and the New England Patriots. Back to the snacks. They extended for tables. There was something for every palate. 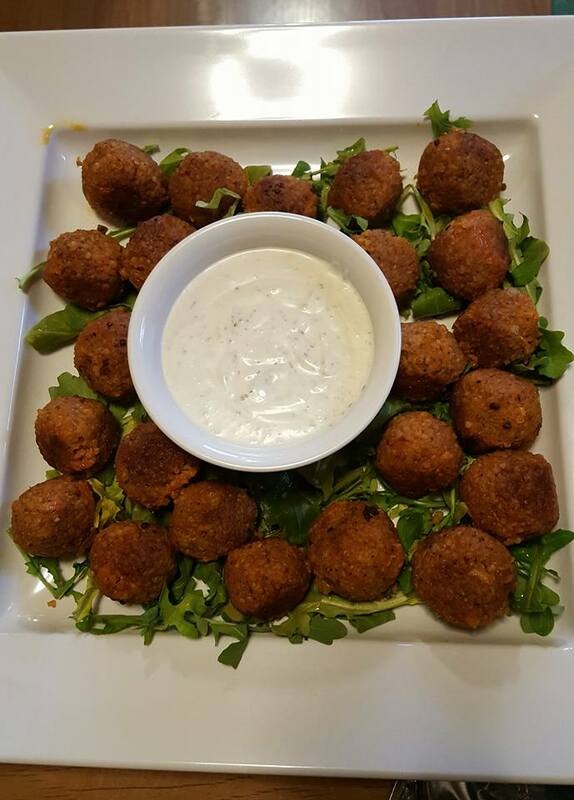 I can proudly say that our tasty morsels were snatched up. 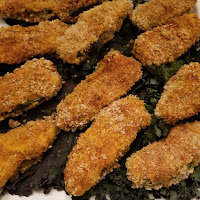 We have to be quick around here, even our meatless snacks are usually the first ones to go. I never know whether to be upset about this or honored. It usually depends on how hungry I am. Today, it was a little bit of both. I watched as first the poppers flew off the plate. Next went the buffalo bites. The bunnies weren't far behind. I knew I had to make my way down the field to make a play or I'd be left on the sidelines. I slipped from my chair and made it just as the last of the snacks were going. I made it just as the clock counted down. The last bites were mine. The Great Food Bowl was once again a success. Oh and The Philadelphia Eagles won the game. If you'd like to know more about any of the snacks mentioned here, email me for more recipes. I love adventure. All types of adventure. I'm usually on the hunt for all kinds of new things to do but I'm not opposed to repeat themes. If it's something fun, of course I'm going to revisit it. Scary, exciting, different - they all have my name on it. I like to call myself the entertainment coordinator. I usually plan things for me but I don't exclude. I'm all for people joining in on my excursions. Sure, sometimes they do. Mostly, they don't. I'm used to being a solo rider. Like the time I decided to brush up on my trapeze skills. Not one person joined in. I had a few friends that said they wanted to come along, but in the end, it was me, with my cameraman. Thanks Mike. I'm used to this. I don't mind. I'm never going to miss out because I'm a solo rider. I need adventure. Need it. It keeps things exciting. So I'm constantly searching for new things to do. I always try to find a new experience, an unusual exploit, before I go back to something I've already done. 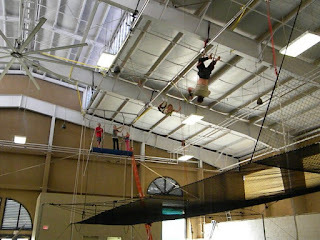 I almost ignored my guidelines when it came to the trapeze. This was, to date, one of my favorite undertakings. I discovered the trapeze in San Diego. Encinitas to be exact. I was so excited that I even had a few friends share in my enthusiasm. Until it came time to book. Then I was solo flyer. Literally. Well, technically I was solo adult flyer. Nothing says adventure like a class full of children and me. Lone adult. But I forged on. Up the ladder to the platform and off I went. Swinging, flipping and the best of all, the catch and release. I'm not going to lie. It was hard, but the fun far outweighed it and was worth every ache I felt the next day. 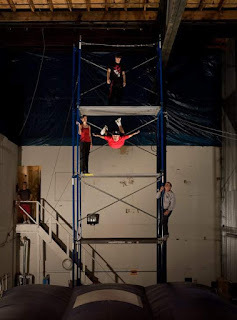 After I moved back to NYC from San Diego, I wanted to go revisit Trapeze School. My logic was "different area, different experience" but I knew I had to wait. I had to find something new. Something different. The search was on. Then one day I found it. My hunt had yielded the ultimate. STUNT SCHOOL. I had found the jackpot of city adventures. Not only was I going to learn how to be a stuntman, I was going to jump off buildings! Through Living Social, I had found a place called Hollywood Stunt School. I was in and this time I was going with a friend. My cameraman Mike was up for the challenge. There were two options (technically, yes, but for us, it was never an option) - Trampoline or High Falls. I knew what we were choosing. High Falls it was. Because sometimes, you just want to be a stuntman. We were going to learn the proper way to fall from 20 and 30 feet. 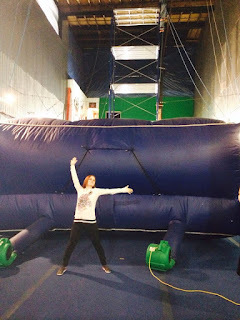 There was also a 40 foot platform but that wasn't for beginners. We started off with a table fall into a crash mat so we learn the proper technique. Baby steps. The class had about 15 people in it - people who came for different reasons. People like us who were fulfilling their stuntman dreams, people who were just trying something different and then there was the woman who was deathly afraid of heights. No joke. Terrified. Everyone in the class cheered her on. She climbed each platform and every time, had to wait it out, urged on by the cheers of her class. Although she was terrified, and it took her longer than the rest of us, she did it. Every time. From the platform onto the airbag. Success. The instructors were great. We had fun and even though we all walked in as strangers, our entire class bonded over our leaps off the platform and the inspiration of the woman. She overcame her fear, I think we all might have teared up a little. Next time I'm braving the 40 foot platform. Ironically, what was supposed to be just a day of play, has now taught us the proper way to fall. It came in handy when, during our snowstorm a few weeks back, I thought it would be fun to jump off the deck into the snowbank. Life lessons. Stuntman for life. It's winter in New York City. This means cold. Very cold. Finding things to do each weekend gets harder and harder. Not for lack of events. It's my motivation. When I wake up each morning, or get home each night, I fight the urge to want to get back in bed, underneath those warm covers. Until I see "free". Free? Now that's truly something even harder to come by. 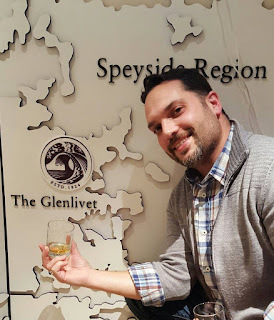 So imagine my surprise when we've recently had the good fortune to attend not one, not two but three free scotch tastings. Ah, Scotch. Where do I begin? I have an interesting relationship with Scotch. I do not love it. I do not even like it. So why would I go to so many tastings? One word: Mike. 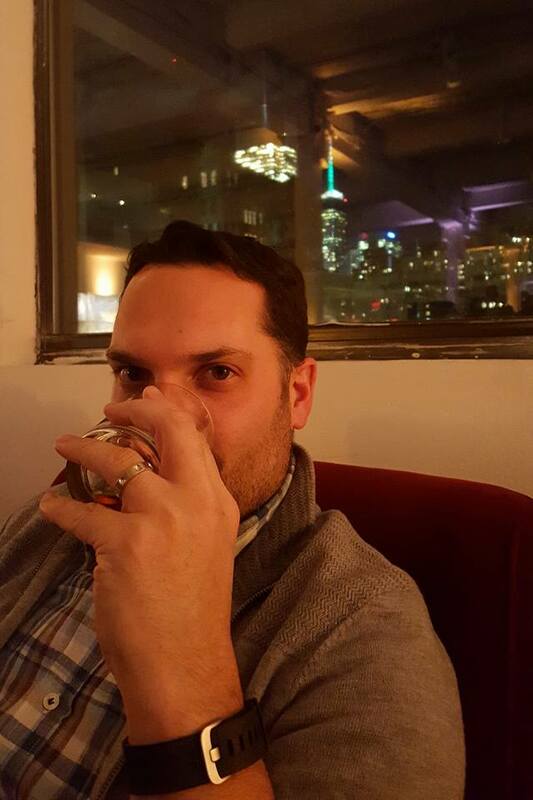 Mike loves Scotch. I'm talking love. Love. I knew he was enamored of the golden liquid and I wanted to do my part to make sure he enjoyed it as much as he could. I began my search. Our first two tastings began months ago. I had seen an add for a Balvenie tasting and signed us up. Mike was hooked. 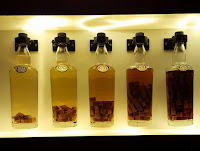 It followed with a tasting by Macallan. Then, this past Friday, came the Glenlivet at the Hudson Mercantile. The Glenlivet is the single malt whiskey that started all. Made in Speyside, Scotland, it was so good that back in 1822 even King George the IV requested it. Mike would agree. 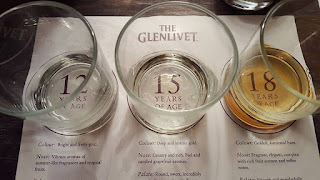 It had such a good name that others were using the Glenlivet name in addition to theirs. Glenlivet was able to trademark their name and they became THE Glenlivet. 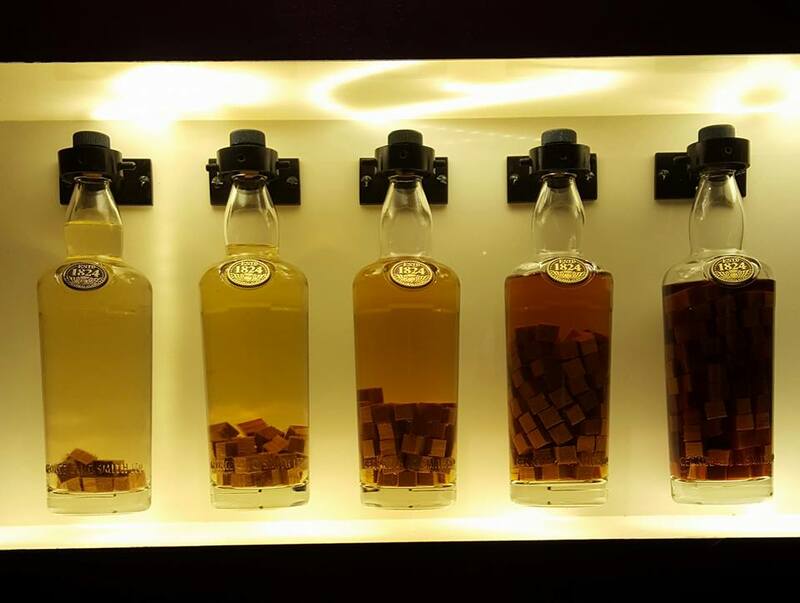 THE Glenlivet is produced in 6 steps. This final step, maturation, is what defines whether it will be a 12 year, a 15 year, an 18 year or 25 year and above. It all depends on how long you allow the whiskey to mature. 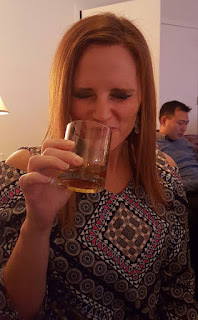 We were able to taste four scotch whiskeys. A 12, 15, and 18 year with a bonus called the Nàdurra. Great for Mike. Not so much for me. Have I mentioned that I do not like scotch? I've tried. A lot. Hey, I'm no quitter. I'll keep at it for Mike. It was a great event. 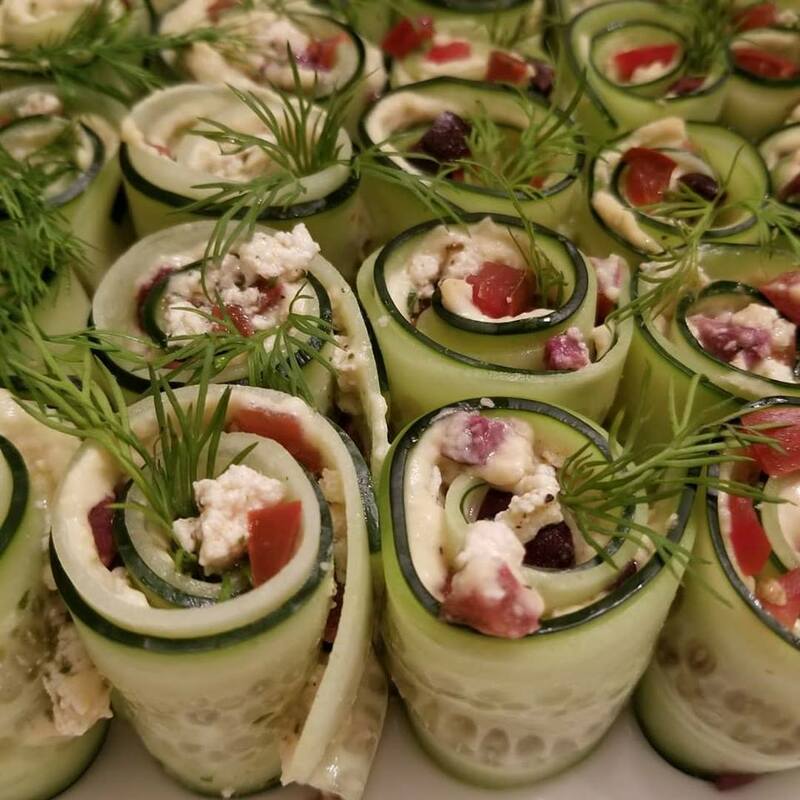 They had a nice variety of appetizers throughout the venue and the host was great. It was at the top of the tastings that we've been to. 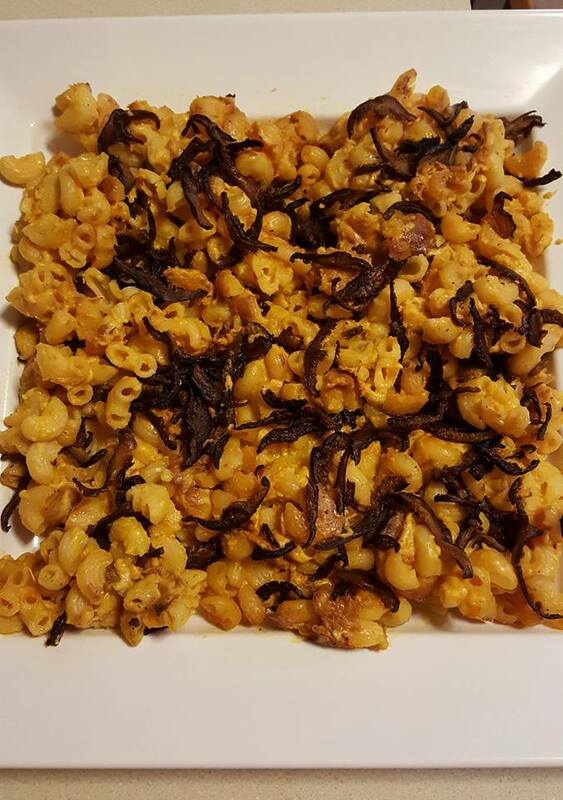 A little rushed for the tasting portion but overall, well done. Now it's time to move on to the big time. The Motherland. Where Mike can go from scotch to scotch to scotch. And me? I can listen to the bagpipes. I can't stress enough how much winter in NYC makes me sad. Cold and sad. That's me, by the sign, being sad. No, really. You're probably thinking, well, hey, you don't look too sad. I mean, I'm standing in front of a giant Pepsi-Cola sign so I'm not really that sad. And it was Saturday. You can't be sad on Saturday. And it was sunny. You can't be sad when it's sunny. It was still cold so maybe I was just a little bit sad. Or cold. But I was on a mission. A random fun mission. 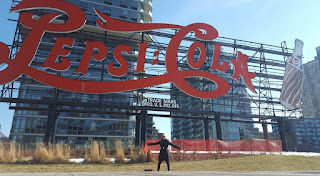 The foundation is located in Long Island City. Not an area we are familiar with and we decided it was time to explore. 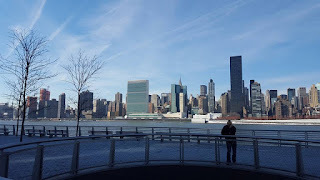 Long Island City is in Queens and is across the water from Manhattan and the view is beautiful. We started with a walk along the boardwalk. This area has so many new things to explore - cafes, restaurants, parks - even a dog run. We were starting to get cold so it was time. Cocktail time. 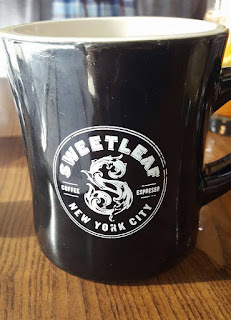 We walked around and found Sweetleaf. Sweetleaf is a coffee and espresso bar and apparently at this location it is also serves cocktails. It's like it was calling to us. We found our seat by the window and the flavor adventure began. The bartender, Jonathon, came over and went over everything. 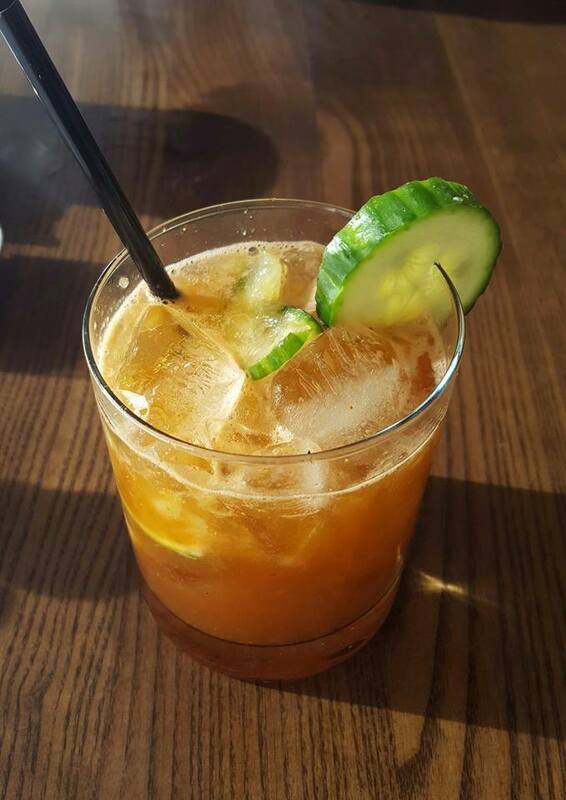 I was set on the Comrade Mary, a lighter version of the Bloody Mary. When I say lighter I mean light on the mixers, more of the alcohol. Lemon, lime, cucumber and some other mixers included and it was perfection. It was mixed to perfection so well that I had to stop myself from drinking it down in one sip. Light, refreshing and just, well, just so good. Mike opted for the bartender's surprise. He wanted a hot drink and went for a coffee mix. It involved cinnamon syrup and two types of rum. I don't know what else was in there but it was so good that the girl at the next table ordered it based on smell alone. We went in for one drink. We stayed for 3 hours. Yes, I said 3 hours. We lingered over the delicious flavors of our beverages and tested a few others. The bartender was so talented that he could take any flavor profile and mix it up. He made Mike The Penicillin. 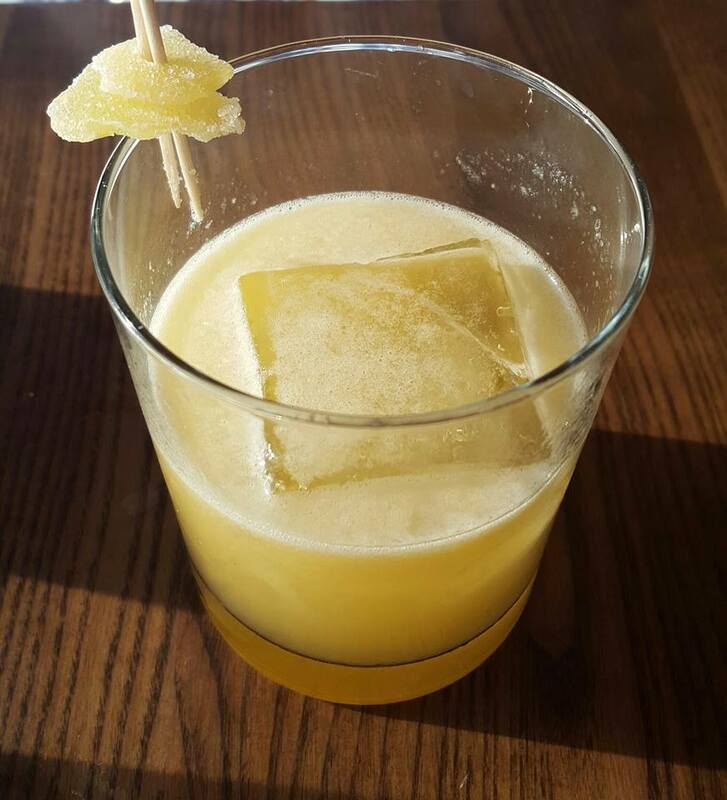 Scotch, ginger and a few other ingredients, garnished with candied ginger. At first, all you tasted was scotch but as the drink sat, the ginger came through and that was the predominant flavor. Then there were the ice cubes - like mini art pieces. The last time we had seen cubes like this was in Japan where the bartender carefully chiseled away to create perfectly formed orbs. Such precision and care. Jonathan showed such a passion for each drink that we knew we were getting a good product each time. We had hit the jackpot. The cocktail jackpot. 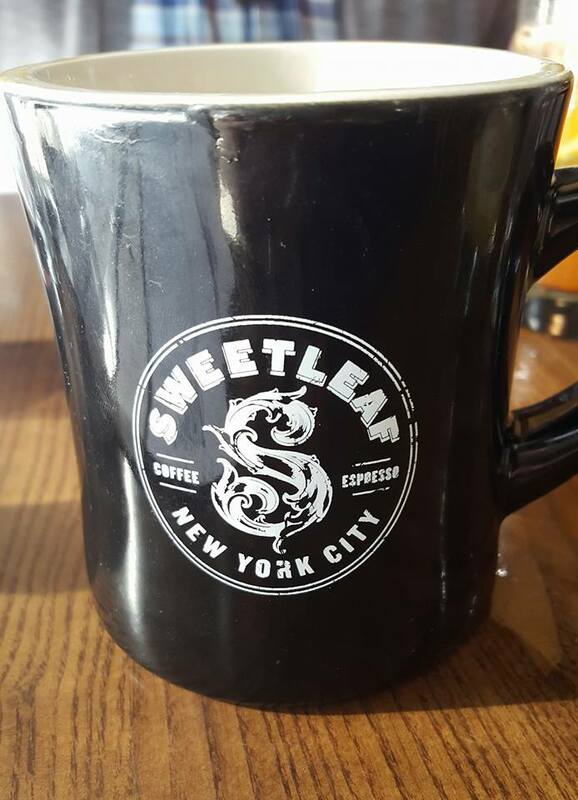 We will be going back to Sweetleaf again. *The mission of the Icla da Dilva Foundation is to save lives by recruiting bone marrow donors and providing support services to children and adults with leukemia and other diseases treatable by marrow transplants. I've always loved mustard. When I say mustard, I'm not talking about that run-of-the-mill yellow sunshine version. I mean mustard. 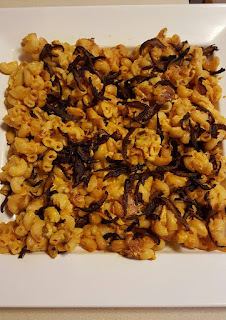 Spicy, brown, seeded - delicious. Even when I was little, I couldn't get enough of it. Mustard sandwiches were a favorite of mine. 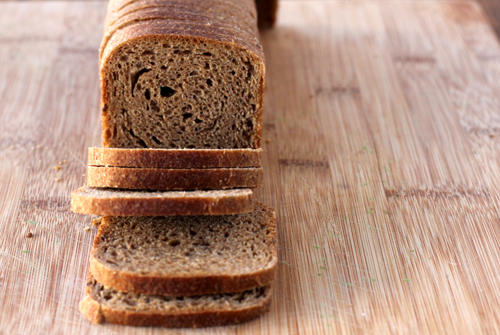 That spicy, dark yellow concoction spread between tiny pieces of baby rye bread was just perfection. Why? I'm not really sure. Was it the spice? Perhaps. The vinegar? Could be - I'm a lover of vinegar too. Something about this perfect combination of flavors had me hooked early on and I just didn't know exactly why. As I got older I discovered so many different brands and varieties. I couldn't believe the mustard world that was opening up but nothing compared to the heavenly goldmine I found when I was in Paris a few years ago. It was an accident really. We were strolling along the Place de la Madeleine and there it was. Store number 6. Mustard Heaven. 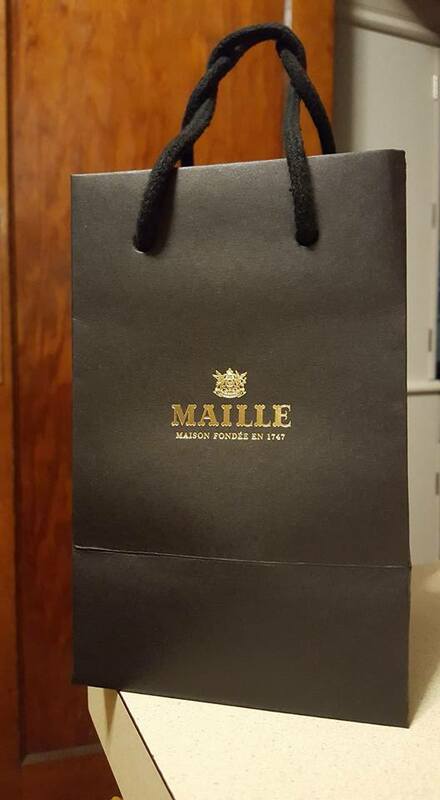 Or more commonly known as Maille. I didn't realize that Paris could get even more perfect. They had their own mustard store. An entire store. 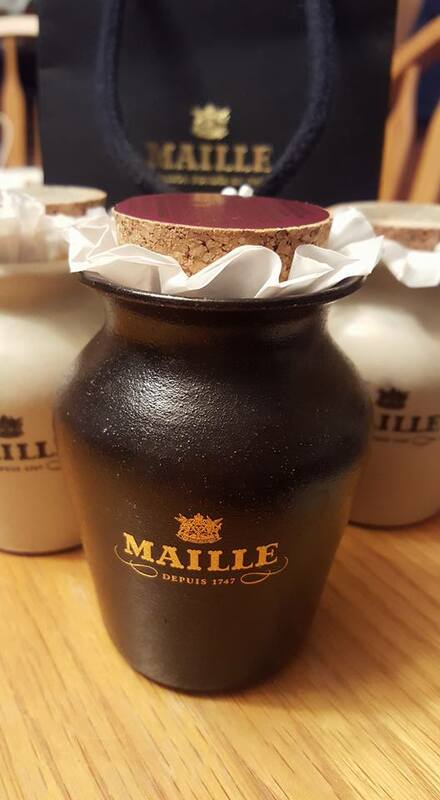 Le Maison Maille, it's official name, has been producing for more than 267 years. Started by Antoine Maille in 1747, he began selling vinegar and mustard and later attracted the attention of King Louis XV. He became the official supplier of the King and other monarchs of Europe. If it's good enough for Kings then it's good enough for me. We walked in to walls and walls of bottled beauties beckoning to us. I didn't know where to begin. What's more perfect than mustard? French mustard. I headed to the counter. I saw beautiful porcelain jars. Specialty jars for the limited edition mustards. Then I saw it. The tastings. Mustard tastings. Perfection. There were so many to taste that we really could have been there all day. And night. I remained calm and chose just a few. Each one was better than the next. We made our selections and moved along. We bid farewell to our boutique and knew we'd have to come back someday. Then, one day, Paris came to me. With mustard. As I walked down the street, I saw a new store getting ready to open and there it was. A sign. 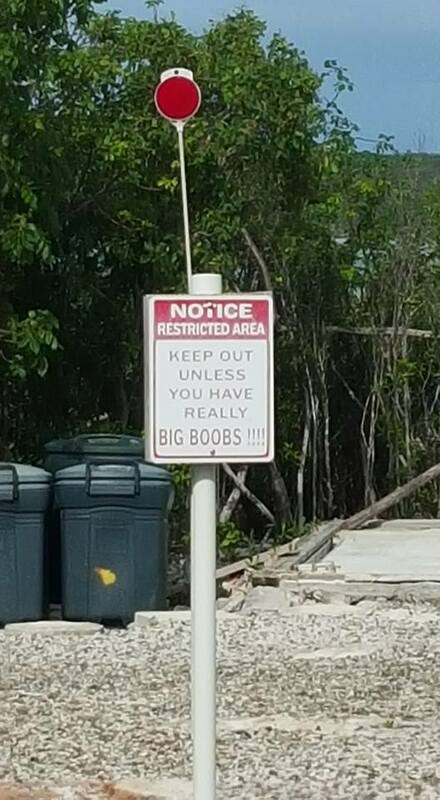 Not just any sign, but the sign. "Maille - Opening Soon". What?? Just two blocks from my office? I knew it was fate. Mustard tastings and sampling mustard are just a few of the perks of being close to the store. 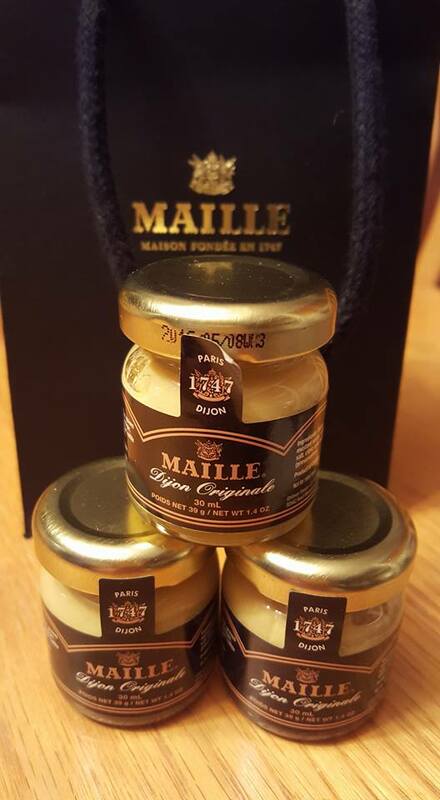 There's Black Truffle and Chablis, Sauternes, Dijon with White Wine and they all come with the ceramic stoneware jar. Those are just the flavors at the pump. Besides the dozens of other mustard flavors to choose from, they also offer many other goods as well. Balsamic vinegar, fruit vinegar, white wine vinegar, olive oils, cornichons and my favorite - the mustard spoon. Ideal for reaching that last little bit at the bottom of the jar so no mustard goes to waste. And no mustard should go to waste. I'm a scone fiend. I'm not ashamed to admit that. Carbs and me, we're best friends. I'm not one to jump on the low-carb bandwagon. Hell no. Never. I need that crusty, flaky, chewy goodness. Baguettes, bagels, croissants and last but certainly not least, scones - I want them all. In vegan form. Yes, it's still possible to enjoy all of this heavenly breadness in vegan form. If it can be made, I will find it. And find it I did. This time I hit the scone jackpot. It was just an accidental find. 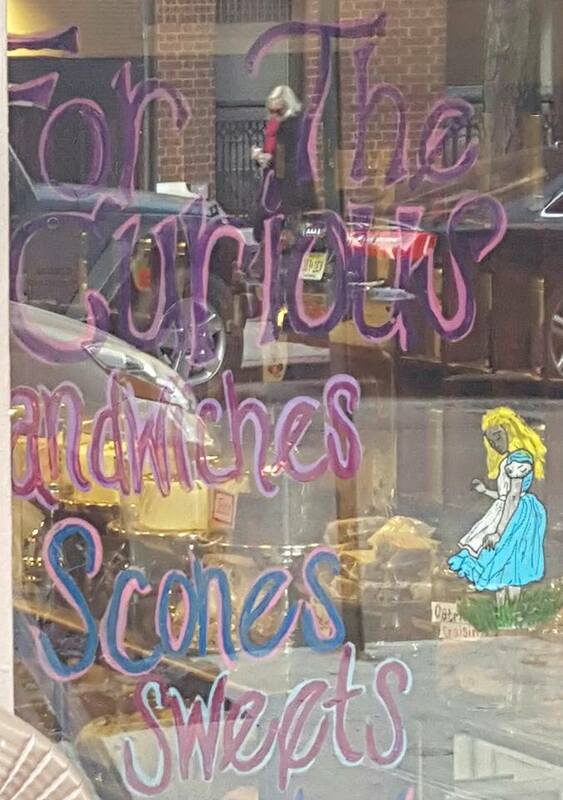 I was out walking one day when I passed the cute storefront with the purple awning with a sign that beckoned for the curious to come inside. I'm curious. They must have been talking to me. This was Alice's Tea Cup, Chapter I. 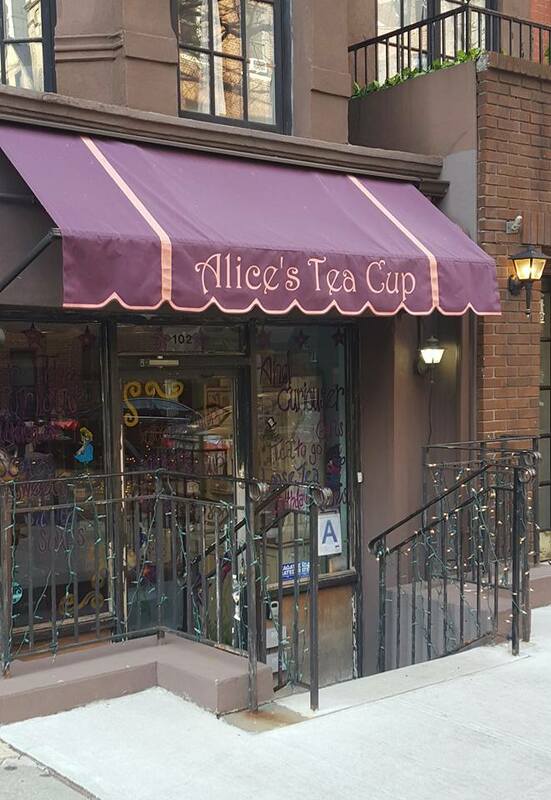 Located on the upper west side, it is described on their website as New York's most whimsical tea house. I walked in and saw a wonderland. Cakes and cookies lined the counter. The wall was filled with giant tea tins. But the highlight was right there under the glass. Scones. And more scones. 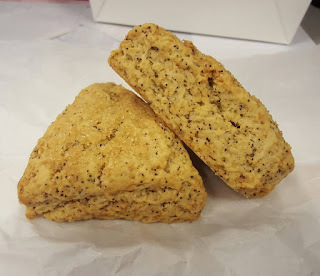 And then there it was....the vegan scone. I was sold. I didn't even care what flavor it was, I bought it. Sometimes I get a little too excited. I don't even remember what it was other than delicious because it brought me back. Again. And again. And again. I started to go every day. I got the scone card. A scone card! Buy 12, get one free. I bought one for me and one for Mike. Then my mom caught wind of my habit. She wanted in. Every day I looked forward to my trip to "the Cup". Sometimes I'd even get tea. Rose Sencha. I would walk down the street with my pink bag and people would stop me, recognizing my bag. 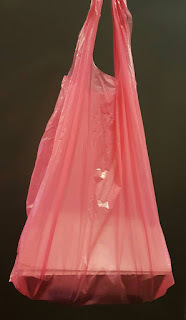 I once even tried to sneak a few scones home but my mom saw the pink bag and called me out on it, asking if I remembered to get her one. 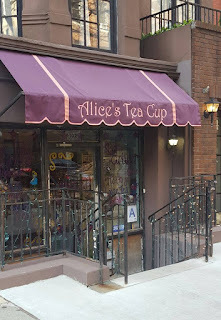 I also knew the people that worked at Alice's Teacup. There was Alice (really), who is sweet and Jasmine, an actress and incredibly awesome. They knew me too. Which led me to realize that my everyday scone habit was getting out of control. I knew I had to take it down a notch. I knew I had to scale it back to just a few days. But which days? There were good scones and bad scones. How would I know? What if I missed the double-chocolate cinnamon day? 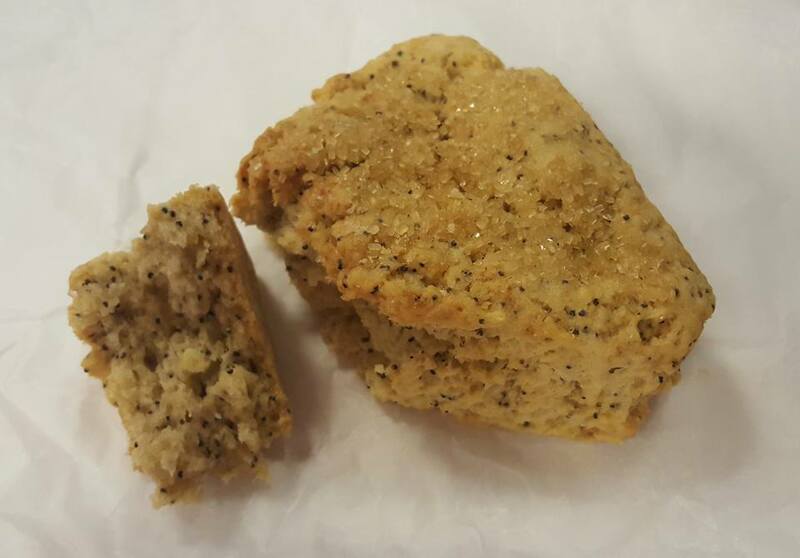 The lemon poppy seed day? The chocolate banana day? I wasn't sure I wanted to take that chance. Until the weather changed. 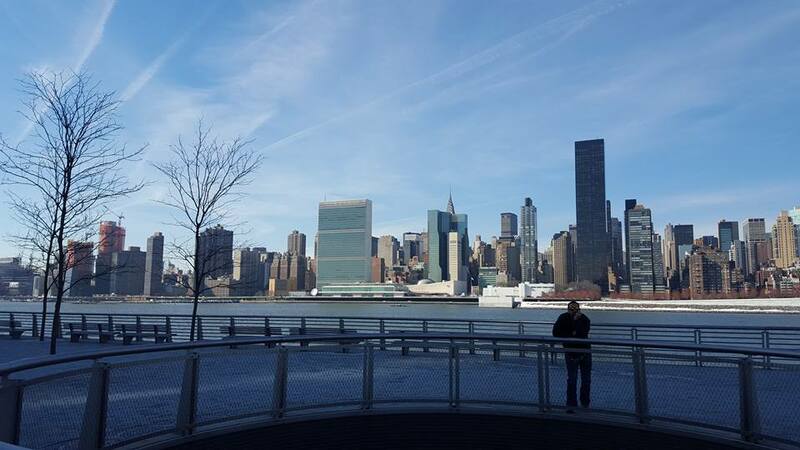 New York City in January. Cold. Very cold. 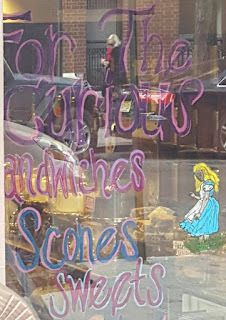 What if I walked the 7 blocks for my scones and it was a pear walnut scone day? Did I really want to walk in the cold for a "bad" scone day? The cold helped break my habit and the phone helped me decide which days I would make the trek. I call daily, get the vegan scone of the day. Yes, I'm obsessed. When you find a good thing it's hard to let go. It all started when Mike and I tossed out the idea of going to Turks & Caicos. We weren't sure we'd be able to go but then we won travel tickets as the top fundraisers for the charity we work with and planning soon begun. 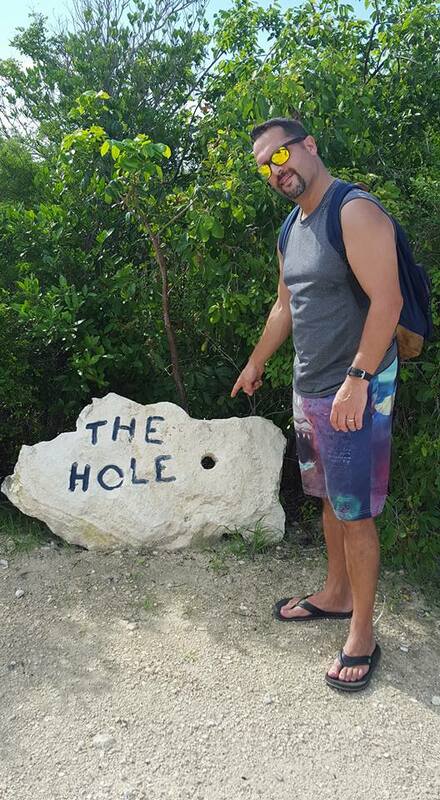 On TripAdvisor, the Hole was described like this, "get ready to go to the "Hole" located in Long Bay in Providenciales. 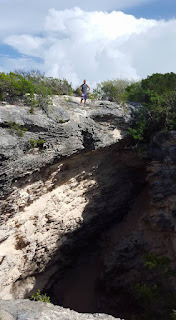 This naturally formed massive limestone 40 foot hole is on the list of things to see. People can be lowered down a rope where 80 feet down there is a swimming hole. For adventurous souls only!". I was intrigued. 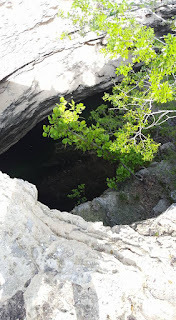 When I thought of vacations, dream spots, beaches and what to do while there, visiting something called The Hole wasn't something that was at the top of my list. But I like adventure. I was in. Although I'm not a big fan of tours. I've always felt that I can do a better job of seeing an area on my own. I generally have two schools of thought on my travel - wing it (I'm a big fan of this and can honestly say it's been a great ride every time) and research. As I've gotten older, I've turned more to research. Not because it's necessarily the better way but because I don't want to miss anything. So TripAdvisor has come in very handy and has given us some great options. We don't always have to use them but we've gotten some great tips and suggestions. We got to Turks, and our very amazing TripAdvisor-suggested hotel, and were set to explore. We looked at the tour books in our room and they also suggested a tour. For $$$. Whatever. We're our own tour guides. We mapped out a route, grabbed our bags, packed water and snacks and hit the road. Not a bad hike but not too close either. We walked about 2 miles to get there. We were excited. The sites and the books had talked this place up. I couldn't wait to see this swimming hole. We passed dogs roaming free, mosquitoes, dirt roads, more dirt roads, beautiful views and a very interesting warning sign. And then....there it was...The Hole. Just in case you weren't sure you were in the right spot, the large rock with a hole in it that stated "The Hole" was a good indication that yes, this is it. There wasn't a soul around. Not a sound either. I'm not exaggerating. We started to wonder if this was a joke. Could all of the guide books AND TripAdvisor have been wrong? Could this really be one of the hot spots to see? We were here and we weren't going to leave without seeing what it was all about. We walked down the gravel path, through some shrubs and there it was. Or wasn't. Sure, there was a hole. Could you climb down? Probably. Would you want to? No. Swim in it? Absolutely not. I went close enough to the edge to peer down into this wondrous abyss. From what I read, I pictured rappelling down the sides into a pool of crystal blue waters. Nope and nope. 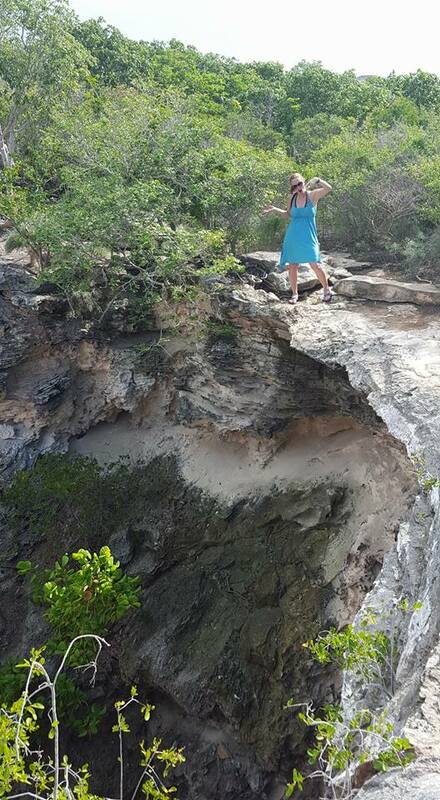 Before stepping up to the edge, it looked like an interesting cliff with mysteries inside. I wanted to go. My head popped over the edge and I saw.....brown water. Brown water? Not in the Hole. And garbage? There's garbage down in the Hole? Say it isn't so! Is nothing sacred? Ah, poor Hole. There you have it. The saga of getting to the Hole. Was it worth it? Of course it was. If we didn't go, we'd still wonder what it was all about. 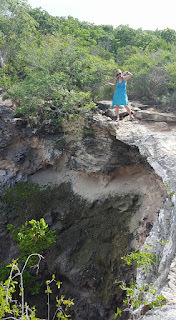 Like always, it was an adventure - we had fun getting there and we were able to explore more of the island. And that sign. We wouldn't have seen that fabulous warning sign. Most of all, we were happy that we saved money (more for shopping!) and did it on our own. I am from NYC but lived in Southern CA for 10 years. Currently in NY again. I've always loved to write. I have a Degree in Journalism from Boston University. I'm used to writing about others, not about me so this blog was a huge step. 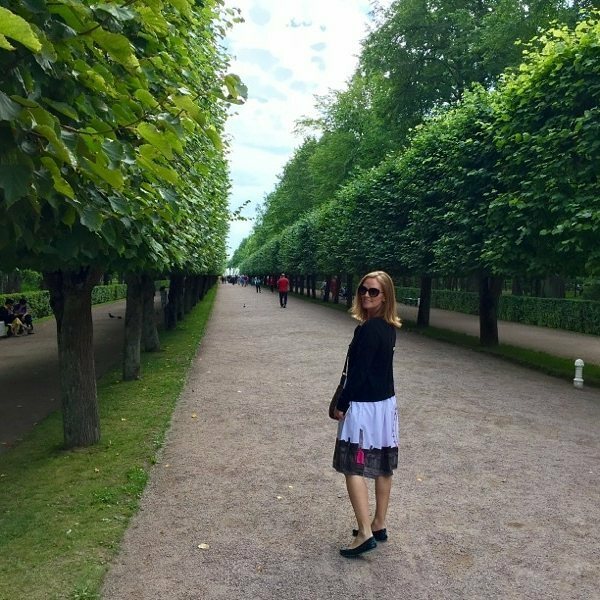 I love to travel, especially abroad. Paris is where I consider home. While I've never lived there, I feel like I belong there. Someday. I don't like to be in one place for too long. I love adventure. Discovering new places, doing new things - it keeps life exciting. I am married to my partner in crime, Mike. Our babies are Charlie Brown and Peanut, the best little mutts ever. Together we will conquer the world. Dean Koontz Book Signing - Living the Dream! Adventure is everywhere - even in the "wilds" of Central Park. This captured a rare moment - a feeling of happy calm that all will be right in life. Brilliant, even the tree matches my hair! Is That Your Natural Color? © 2010. Watermark theme. Powered by Blogger.